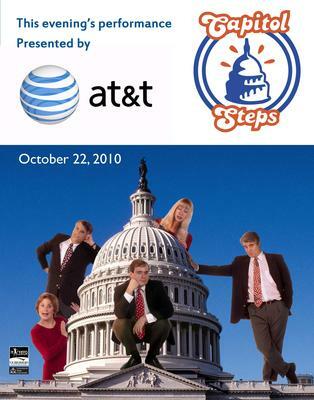 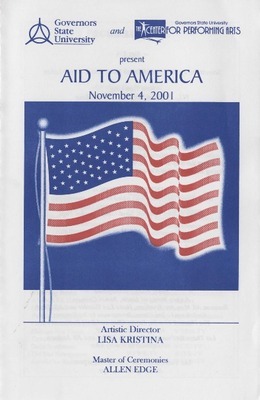 Program from the November 4, 2001 fundraiser, Aid to America. 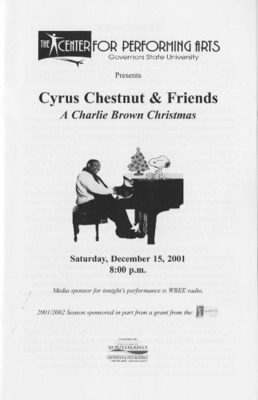 Playbill insert for the December 15, 2001 performance of A Charlie Brown Christmas by Cyrus Chestnut & Friends. 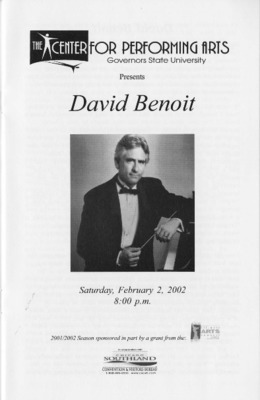 Playbill insert for the February 2, 2002 performance by David Benoit. 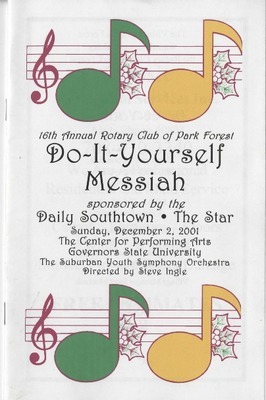 Program from the December 2, 2001 performance of Do-It-Yourself Messiah at Governors State University's Center for Performing Arts. 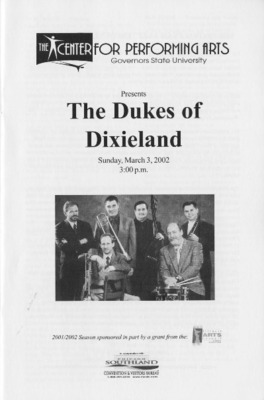 Playbill insert for the March 3, 2002 performance by The Dukes of Dixieland. 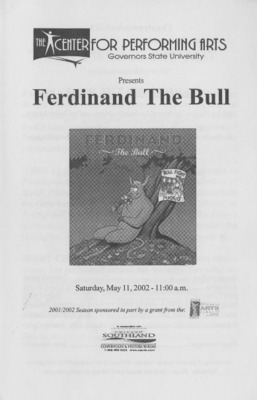 Program for the May 11, 2002 performance of Ferdinand and the Bull by Theatreworks/USA. 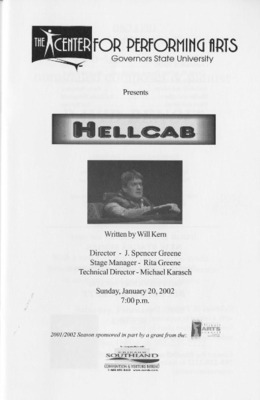 Playbill insert for the January 20, 2002 performance of Hellcab. 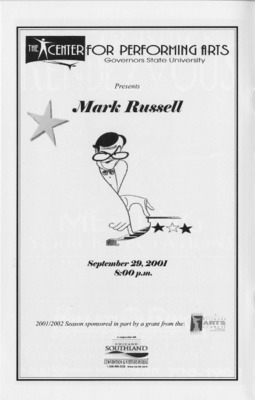 Playbill insert for the September 29, 2001 performance by Mark Russell. 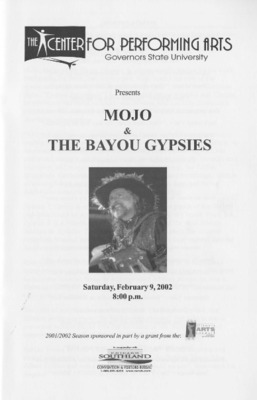 Playbill insert for the February 9, 2002 performance by Mojo and The Bayou Gypsies. 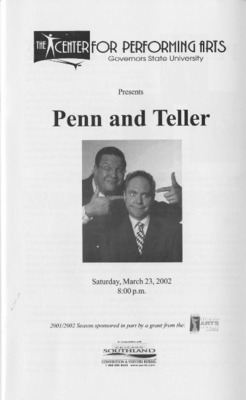 Playbill insert for the March 23, 2002 performance by Penn and Teller. 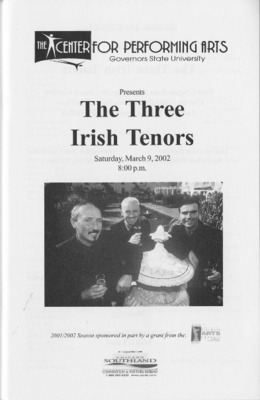 Playbill insert for the March 9, 2002 performance by The Three Irish Tenors. 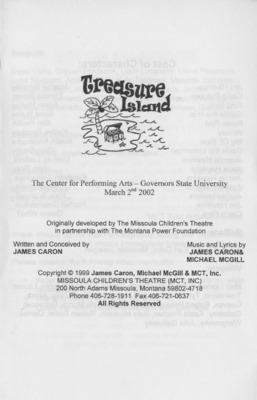 Program for the March 2, 2002 performance of Treasure Island by The Missoula Children's Theatre.